The 8th annual Biobanking conference returns to London on the 13th and 14th June 2018. Biobanks have been an important resource in medical research since the late 1990s, supporting many types of contemporary research, such as genomics, personalised and stratified medicine. Before the advent of biobanks, researchers struggled to acquire sufficient data samples. Today, biobanking is a rapidly growing market, with leading biobanks now facing questions in medical and research ethics, as well as adopting the new GDPR data protection act. 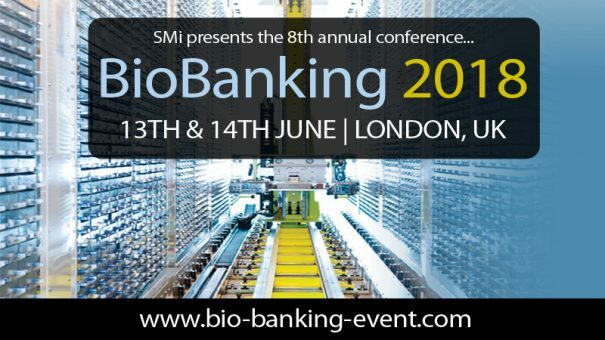 This year’s Biobanking conference will have a focus on important changes in regulation, taking into account the recent introduction of GDPR, as well as defining some of the most successful applications of biosamples in the market and giving updates on the latest technological developments in the field. Highlights of the event include: advantages of using cloud-based storage software for biosample management, benefits of sample-linkage, defining the scope of digital phenotyping and low-pass sequencing, applications of GWAS and much more. Join us in June to take part in front-line discussions through a series of interactive presentations, panel discussions and case studies addressing the critical issues surrounding Biobanking.